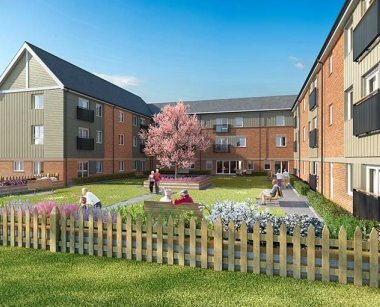 Rogallo Place is a new £11.3m Extra Care scheme being built in Medway, Kent, and will feature 63 one and two bedroom homes. Rogallo Place, in Horsted Way, Maidstone Road, is located just two miles south of both Chatham and Rochester town centres and overlooks Horsted Valley. The scheme, due to open in Spring 2018, is situated right next to the eco park development which residents can enjoy. Horsted Park has the perfect mix of green open spaces with the convenience of retail and leisure facilities close by.